Since April 5 2011, optometrists across Ontario have been able to prescribe a wide variety of medications to treat most eye related diseases. 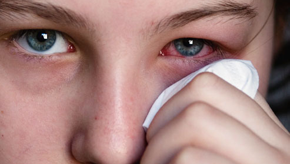 No longer do optometrists have to refer to a physician to manage conditions like allergies, glaucoma, bacterial infections, inflammation which saves the patient significant time and speeds up the healing process. As a result of this privilege, optometrists have expanded their required educational objectives. Dr. Saari is fully licensed to prescribe medications for all types of eye disease including glaucoma, red eye, pink eye and allergies. If your first thought is to go to the Emergency Room, consider calling the office for an urgent examination and save yourself many hours of waiting. Approximately 90% of optometrists in Ontario can see urgent examinations the same day. Many medications prescribed by your physician may have side-effects which may put your vision at risk. If you are taking medications like tamoxifen or hydroxychloroquine (Plaquenil), your primary care or specialist may wish to provide a referral to an optometrist to monitor for early indications of toxic effects. Many systemic conditions like diabetes and high blood pressure can also put your vision at risk. A comprehensive eye examination with special focus on your medical conditions is the key to protecting your sight.